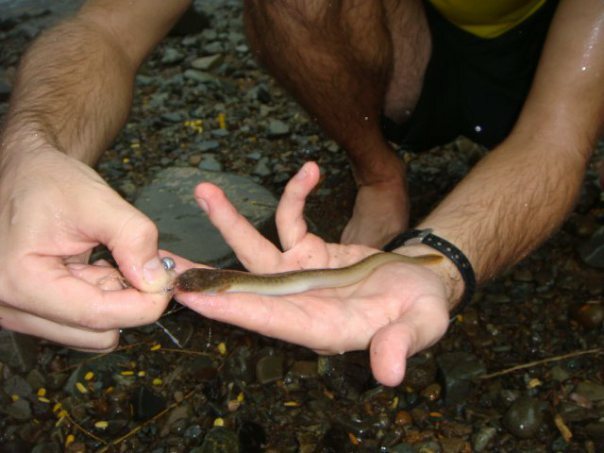 Eels are one of the most elusive and difficult to catch fish in fresh water in the Philippines. We consider freshwater eels to be one of the prize fish to catch in freshwater. The freshwater species are quite unlike their saltwater relatives which are numerous and often considered pests. Freshwater eels feed mainly at night or during storms when rivers flood and are muddy. This particular species reaches an impressive size of up to 20 kilos which makes them true river monsters. Large eels can live in small rivers and streams often in places where they are least expected. During the day the eels rest in deep holes and under rocks. At night they leave the safety of their hiding places to feed. 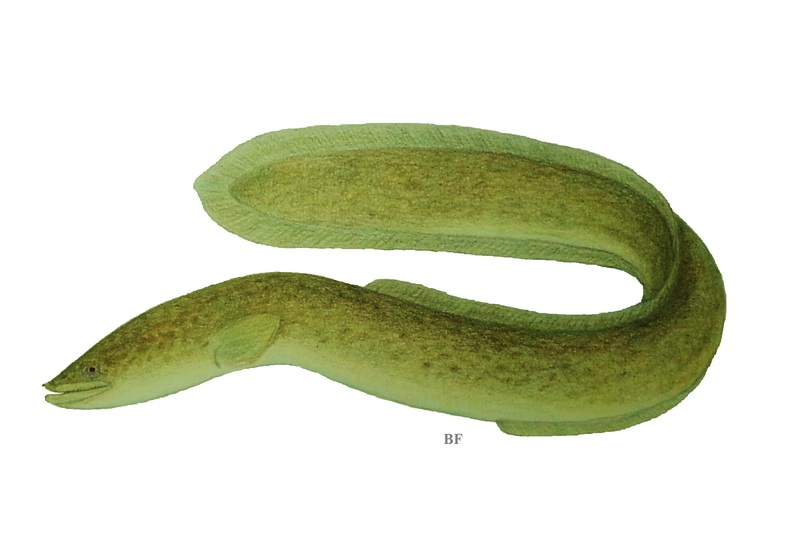 Freshwater eels possess another unique characteristic that makes them quite amazing. They live most of their lives in freshwater, however the migrates to the depths of the ocean to spawn. Once they have spawned they return to the freshwater and the baby eels known as elvers follow. Try fishing for eels at night or when the river is high and muddy with large earthworms, frogs or fish. Posted on June 9, 2011, in Eel (Igat). Bookmark the permalink. 2 Comments. as i understand it, the freshwater eel is called ‘igat’ in tagalog. the saltwater version is the ‘palos’. my bulacan grandmother always stressed the difference. however, most often people call the freshwater eel ‘palos’, which is of course incorrect. the crescent grunter is mostly called ‘bagaong’ in the visayas but ‘bugaong’ in tagalog. just a small difference.